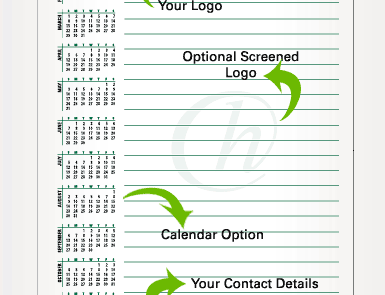 Notepad Printing Mississauga - Heartland Printing Inc.
Personalized note pads help you keep your name in front of the customer and they will appreciate the note pads for their functional use as well. Everyone needs scratch paper, right? Why not fill this need while promoting yourself at the same time. 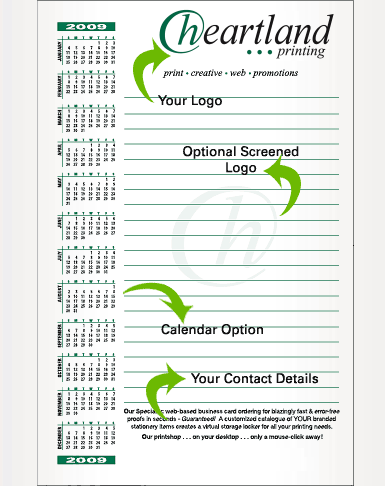 Note pads can be personalized with your company logo, contact details and a handy calendar. Please note that job turnaround time is effective as of the time payment is received. Days are business days. We are often quicker than posted times. We’re offering the most aggressive pricing in the business on customized notepads and scratch pads. Call 905-502-9998 and order today — these prices won’t last!